At the recent Shanghai Cooperation Organization (SCO) Summit in Tashkent, Uzbekistan, Afghan President Ashraf Ghani discussed the threats posed by “destructive change” and the countless opportunities offered by “creative change” in the Eurasian landscape and its emerging continental economy. He told his counterparts that “our greatest common project is the revival of the Silk Roads,” whose main gateway is Afghanistan, connecting Central and South Asia and the Middle East. Ghani welcomed the “One Belt, One Road” as one of many overdue initiatives to bring together the vastly resourceful and yet unconnected regions of Asia and Europe for trade, investment, and inter-civilizational cooperation. For Afghanistan to do its part, Afghan Finance Minister Eklil Hakimi is currently on an official visit to China, where he met Sunday with the Asian Investment Infrastructure Bank (AIIB) President Jin Liqun to discuss Afghanistan’s application to join AIIB as a full member. Full AIIB membership would enable Afghanistan to integrate with key regional highway and railway systems, including the five-nation railway project (China–Kyrgyzstan–Tajikistan–Afghanistan–Iran). Once completed, this project would bolster the transportation capacity of the involved countries, directly contributing to their national economies through increased regional and global trade and investment. At the same time, it would dramatically reduce the distance for commercial transport between the East (from China to Iran) and the West (toward Western Europe), while helping connect member-countries to the free waters of the Persian Gulf via Iran. Parallel to its connectivity efforts, Afghanistan is reaching out to domestic and international businesses for investment. Afghan Chief Executive Abdullah Abdullah recently launched the “Invest in Afghanistan National Program,” which, CEO of Afghanistan Investment Support Agency (AISA) Qurban Haqjo says, is aimed at attracting domestic and foreign investment in Afghanistan’s numerous “virgin markets.” Revenues from these investments should jumpstart Afghanistan’s economy and help the country achieve self-reliance on the long run. Moreover, in line with the country’s economic-centered foreign policy, the “Invest in Afghanistan” initiative prioritizes investment from neighboring countries, Muslim and Asian countries, Europe, and North America. In doing so, it hopes to attract FDI, which would help ensure capital inflow and transfer of knowledge and technology. Since 2002, the private sector in Afghanistan has flourished: More than $10.4 billion has been registered with AISA as initial capital for investments. But the actual investments could reach $25 to 30 billion in the following key sectors: agriculture, mining, manufacturing, services, construction, and energy. To build on these gains, the Afghan government continues to develop a conducive business environment, enabling investors to take advantage of untapped opportunities in the above sectors, in all of which AISA promotes and facilitates bankable investment projects. 85–90 percent of the Afghan population lives in rural areas. They are engaged in the agriculture sector, which plays a vital role in the livelihood of 76 percent of the total population. More than $300 million annually flows out of Afghanistan in pursuit of medical treatment abroad. At the same time, more than $800 million worth of pharmaceuticals is annually imported to Afghanistan. Afghanistan currently produces 600 million watts of hydropower electricity. But there is a huge potential to produce up to 23,000 MW of hydropower electricity. In the past decade, Afghanistan has experienced unprecedented growth in its construction industry. The construction sector has contributed 7–10 percent to GDP in recent years. According to the U.S. Geographical Survey, Afghanistan possesses minerals worth $1 trillion, whose value the Afghan government estimates at $3 trillion. Public procurement forms 19 percent of GDP and 50 percent of the national budget. More than 90 percent of consumer goods in Afghanistan are imported from regional countries and beyond. 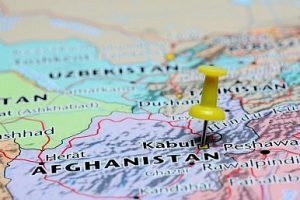 Afghanistan is a trade hub that links the Indian subcontinent with Central Asia, the Middle East, and China, regions that include some of the fastest growing economies in the world. Its location also makes Afghanistan a natural locus for an emerging regional network of trade routes and pipelines. The ease of competition and the ample potential for growth in Afghanistan are relatively new developments. For the first time in decades, Afghanistan enjoys the most investment-friendly environment in the region. The people of Afghanistan see these new opportunities as a way to rebuild their homeland. They are proud of their historical tradition of commerce and cultural exchange, dating back 2,000 years, to the era of the Silk Road. With each economic opportunity that is fulfilled, the people of Afghanistan move one step closer to reconnecting with their heritage and securing a future for their country. Regional and global investors are welcome to play a major role in helping the Afghan people fulfill their national destiny, which is intertwined with that of Asia, Europe, and the rest of the world. 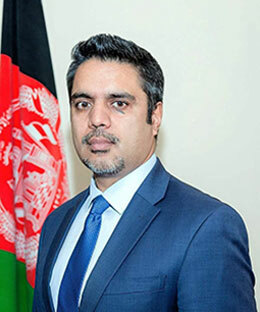 M. Ashraf Haidari is the Director-General of Policy & Strategy of the Ministry of Foreign Affairs of Afghanistan, and formerly served as the country’s Deputy Chief of Mission to India. Prior to this, he was Afghanistan’s Deputy Assistant National Security Advisor, as well as Afghan Chargé d’Affaires to the United States. He tweets @MAshrafHaidari.